The software that will make you save time. Do you think you will need to use the user's manual ? 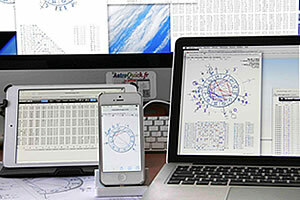 Thanks to AstroQuick ergonomics this software is very simple to use and pretty intuitive. All the options are clear, logical and easy to use. The data keyboarding is made easier with an analysis of the dates but also of other data such as the name or the city that you can copy and paste pretty easily. You have an online help, concise and interactive with astrological information developed about options and shortcuts. AstroQuick offers a quick search of geographic coordinates thanks to its database made of more than ten thousand cities in the world. The timetable are automatically calculated for more than 300 countries and by taking the time zone and daylight saving time into account (and if necessary also the longitude for local time). You can also enter a universal or local hour, the geographic coordinates with the longitude and also the city name. Your charts are always with you ! Thanks to its new listing concept, AstroQuick gives you different ways to open your charts. In the History tab you have your 600 last entry, the tab "My charts" shows the birth datas you saved (with several rankings available) and the tab "Famous charts" allows you to have direct access to a database of several thousands of births classified by names and dates. The function "save to file" will create a HTML file that will allow you to reuse your graphic settings. Also here are some good news for users of the previous versions of AstroQuick MAC 5: you will be able to open and transfer your previous charts. 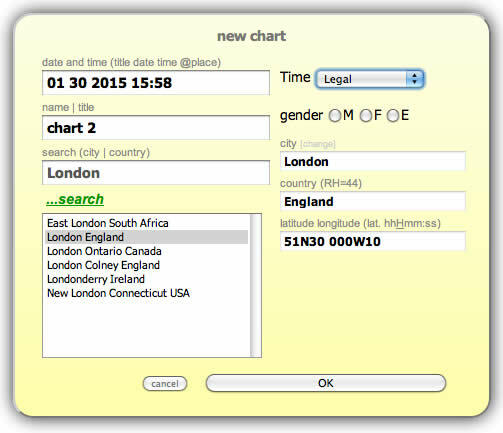 Your saved charts can also be transfered in a csv-text format that is compatible with any spreadsheet. AstroQuick astronomical calculations are very accurate for the period 100 to 2100 and work pretty well from 100 to 3000 after J.C. (of the order of the second or the minute according to the planetary data we take into account). Tropical or sidereal Zodiac (Ayanamsa and SVP), AstroQuick takes into account the geocentric longitudes of the planets (from the Sun to Pluto), Lunar Nodes, the Dark Moon (mean, corrected and true) and 5 main asteroids (Chiron, Ceres, Juno, Pallas and Vesta). 19 Houses calculations are available, with the Part of fortune. 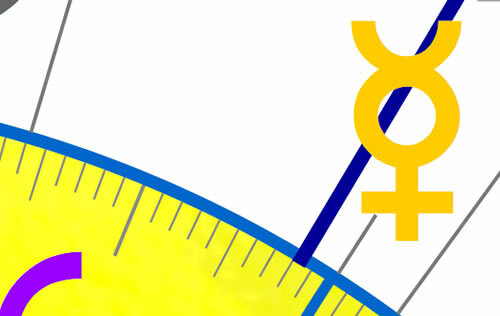 AstroQuick adapts itself to any astrological methods. You can customize all the calculations settings very easily. With th defaulte preferences, there are also many customized preferences available that you can get in one click. Pasting your preferences allows you to change the settings of your charts by applying the settings of any other charts. AstroQuick offers a wide range of combinations. Some of them are automatic, like the thickness of the line of the aspects depending on their accuracy (orb). Thanks to its easy settings, in a few clicks you can change the appearance, the colors of the zodiac, planets, signs, planetoids, etc. Number 1 in graphics for years ! It's not a coincidence if AstroQuick softwares are the most popular in the publishing business. The graphic ratios of AstroQuick are vector; they save a lot of memory (until a thousand times less than a regular bitmap picture) and you can zoom them as much as you want without losing any graphic quality. In black or colors, all the graphic work has a great professional quality, especially without the unevenness on the roundness. Thanks to the universal format PDF, you can print in very high resolution with any printers and you can still use the graphics with any drawing and layout applications. AstroQuick makes you more creative ! With its publishing functions, AstroQuick allows you to transfer your data (graphics and texts) to other softwares. Editing in a JPG format will help you use directly the views of the sky and the charts for your own website or your blog. 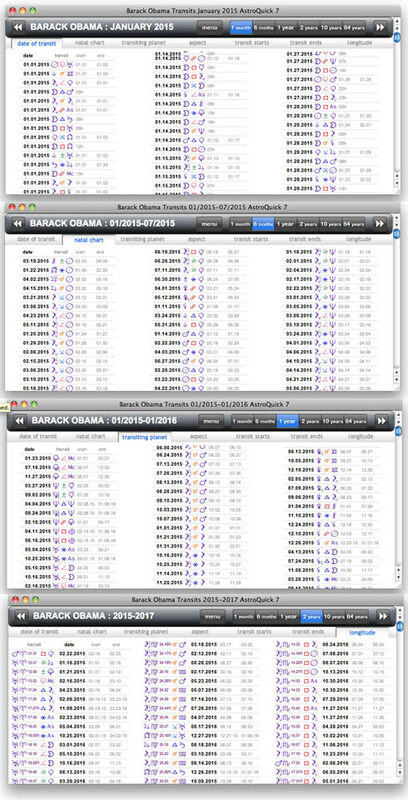 Even zoomed out to a quarter of their real size, the views of the chart remain perfectly legible with AstroQuick. Make a good impression with AstroQuick: the charts prints show a complete report with all the information you need, a clear layout that you can customize with your own name, coordinates and even a link to your own website if you have one. With contextual interpretation, you are one click away to find the key words that match the element (planet, sign, house, symbolic degrees) and the complete inventory of the minor and major aspects. The interaspects and repetition of aspects are also reported for the comparisons (synastry bi-wheel charts) and you can see them in the interaspects aspectarian where the symbol will be zoomed in, depending on the relevance and the precision of the aspect (versions Perso and over). Good at math and good essay writer ! AstroQuick is also made of a strong editorial interpretation system compatible with any word-processing applications. Interpretations are automatically reported and can be printed or even downloaded in order to be emailed. For help in writing custom studies, you have practical tools such as lists of positions and keywords clouds. The versions PLUS, CLASSIC, DELUXE, and PRO includes interpretations modules written by the astrologer Patrick Giani. These editorial interpretations for birth, synastry or forecasts offers comprehensive astrological reports with really professional quality. AstroQuick 7 PRO allows you to market full astrological reports, with interpretations, graphics and layout, ready with a single click ! AstroQuick PERSO offers never-seen functionalities and even better performances than the previous PC or MAC versions. Solar or lunar returns, planetary transits (major and minor), directions (secondary, symbolic, solar arc), progressed lunations, all the forward-looking charts can be superimposed on the natal or any other chart. Same thing for the Ingres by sign and the lunar phases charts. The preferences settings Revolutions, Transits and Directions allows you to customize everything: orbs of aspects, colors, presentation, etc. When it comes to searching something, you can also use the preferences to change the settings anytime. Thanks to the new navigation menus (by year, time, date or lunar phases), you are just one click away from going back in time or jumping into the future ! The astrological forecast has never been easier ! With its 64-bit optimized kernel AstroQuick PERSO calculate over 80 years of planetary transits in seconds. In addition, you can add the list of secondary, symbolic and solar arc directions without waiting another more second ! Lists of dates are richly presented with their periods in orb and 6 other presentations over the timeline. As information overload night looking for events, you can filter the results on the fly for each planetary element (progressed or natal). Quick means fast, AstroQuick is not only efficient, it's innovative design puts in advance at least a generation over its competitors. Indeed, no dialog or settings are required and with a simple click you can navigate in time, periods of 1, 6 months and 1, 2, 10 or 80 years. As well as other functions of the software, you will automatically find your preferences without unnecessary or repeated action. Behind its apparent simplicity, AstroQuick integrates the best qualities that a software can bring you with an interface developed specifically to be forgotten and to provide a direct and instant access to informations. 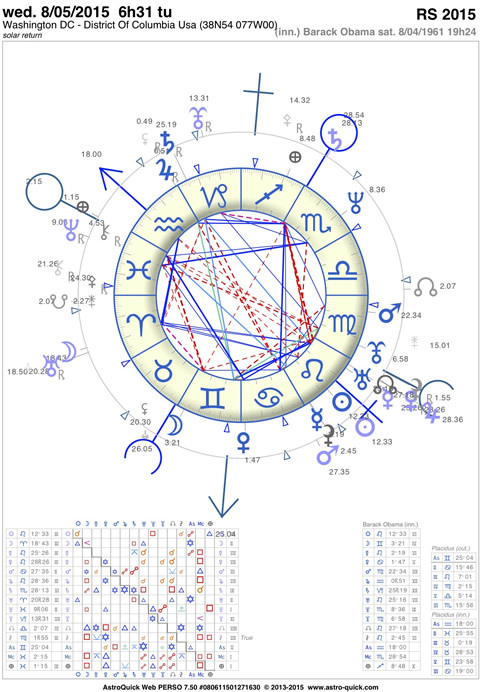 Most astrology softwares present bi-wheel charts that are barely legible; symbols too small, same colors, unlegible interaspects with a reduced inside circle, etc. However the AstroQuick PERSO charts graphic makes no compromise: the symbols keep the same size, different colors for the planets, the dimension of the zodiac is the same as the one for simple charts. It's not only for your visual comfort; besides the comparison of birth charts with the inversion of direction by just one click, you can also superimpose forward-looking charts and keep browsing as long as you want by following the evolution of the interaspects. For each comparison you have the aspectarian matching the complete interaspects inventory. You will automatically notice the most important aspects thanks to its presentation adapted to the list of planets: the size of the aspects is automatically adjusted according to the orbs criteria (accuracy of the aspect and repetition of the same aspect in one of the two charts or both of them). In the contextual interpretations, the same information is completed with the list of aspects extended to the asteroids. Ephemeris tables that do not gain weight ! AstroQuick 7 versions PERSO and over integrates multiperiodic tables of planetary ephemeris. To track the sky and look for directions or planetary transits, 5 presentations are available for one-month period, 6 months, 1 year, 2 and 12 years. Specially designed for ergonomics tablets like the Apple iPad or Google Android you can select a date and click the calculation options to instantly display the longitudes of Luminaires, moon phases (4 phases), planets until Pluto, lunar node and Dark Moon (mean, corrected and true) and 5 major asteroids. With thousands of years of planetary positions, the AstroQuick ephemeris replace dozens of printed volumes, the equivalent of several hundred pounds of paper ! 100% open and compatible ! 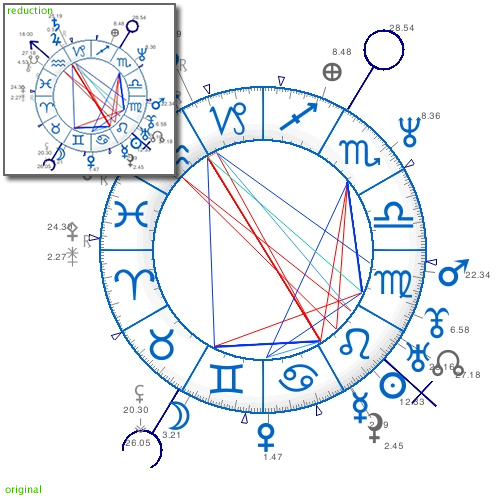 Charts in HTML, list of charts in text format, chart and graphics in JPG, graphical PDF reports, and HTML text interpretations... All AstroQuick data format are universally compatible with Internet and its applications... AstroQuick is the most open Astrology software, 100% compliant internet since 1999 ! AstroQuick Web is instantaneously operational with Safari™, Chrome™ or Firefox™ and do not require any installation nor any special setting. Say goodbye to installation issues, upgrades, system or hardware incompatibility. You only need a username and password to use AstroQuick with almost any microcomputers having an Internet connection. Whether it is at home, at work or with a friend's iphone, your AstroQuick and your data are always available... anywhere on the planet !